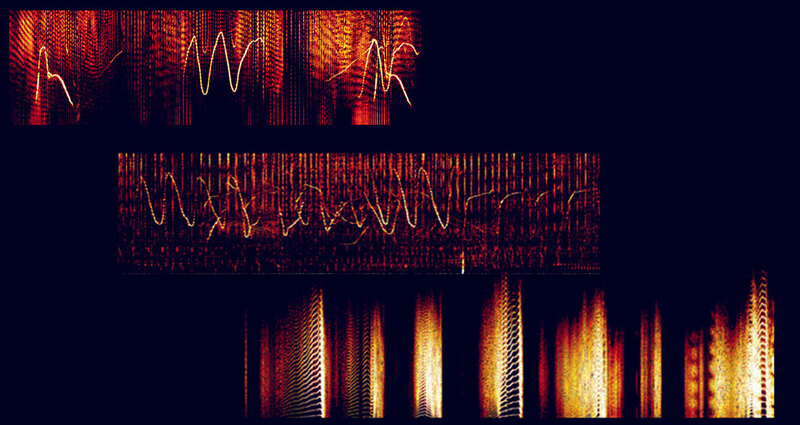 Spectrograms of dolphin calls are closer to written English than the signatures I'm able to scrawl on credit card machines in grocery stores. We really should stop messing with these people—who knows what they might be up to? 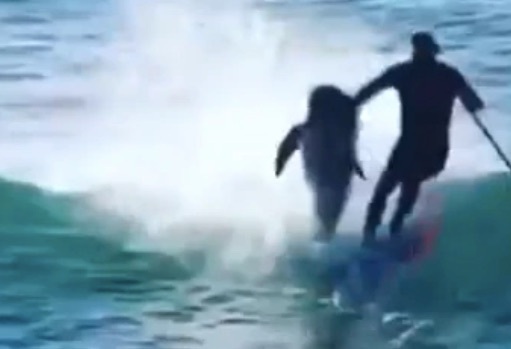 Team dolphin all the way, you guys. 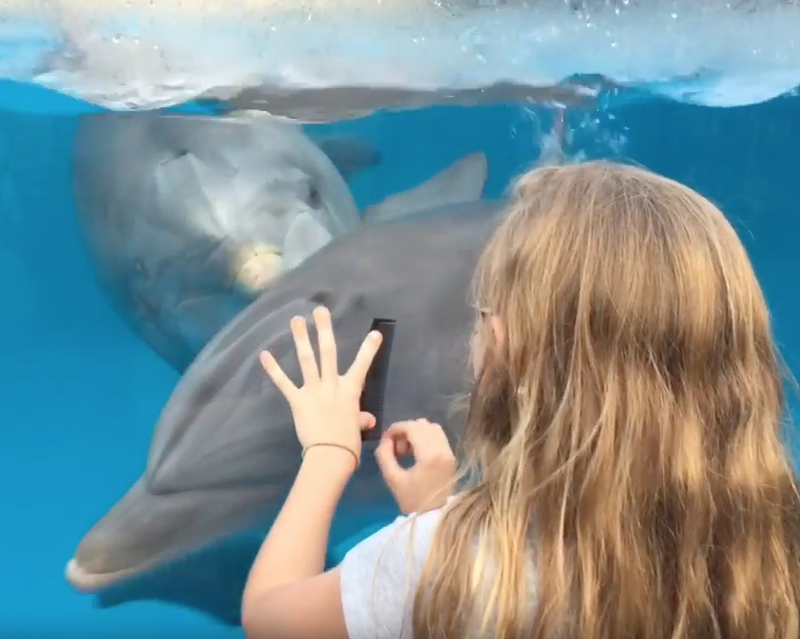 A woman at SeaWorld Orlando was trying to take a photograph of the marine mammal show with her iPad, when a dolphin popped up out of the water and grabbed it from her. 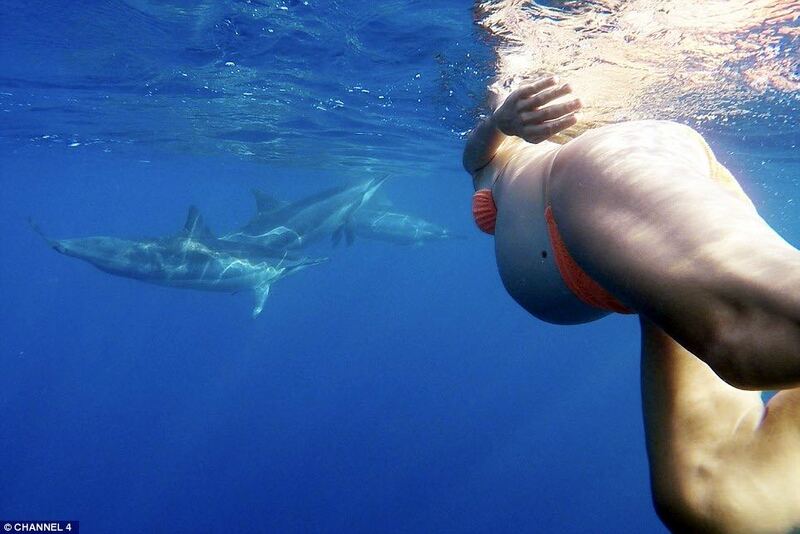 Dolphins that fish on land. 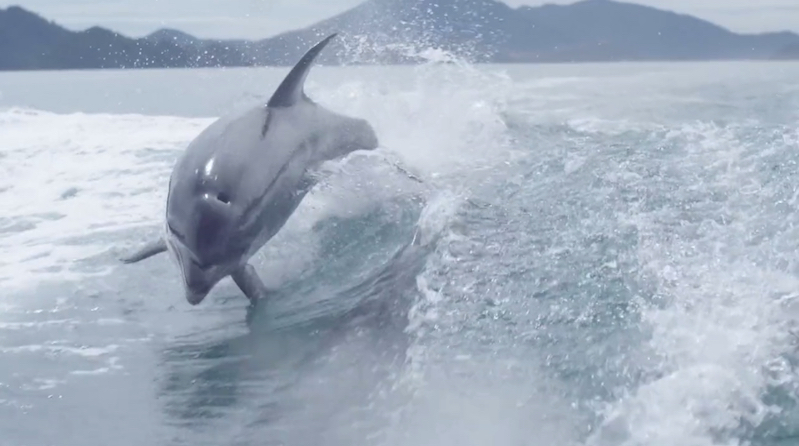 Amazing video of dolphins that have learned how to dine in style. 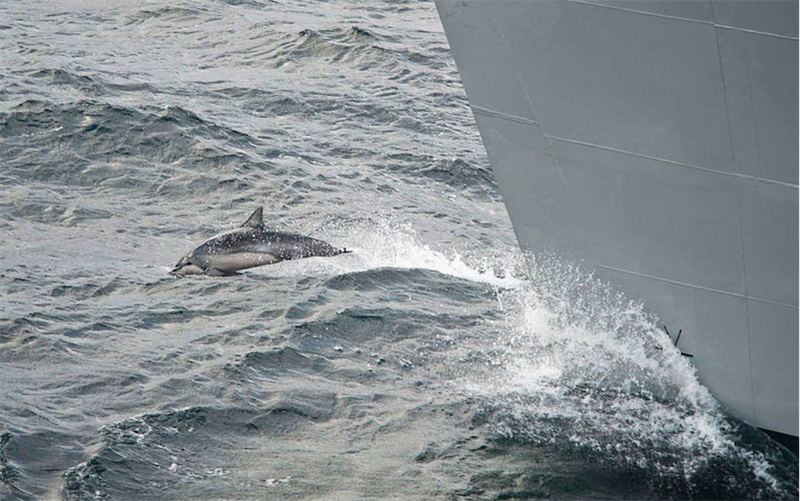 This hunting behavior, according to Discovery, hasn't been found in any other pod on Earth. 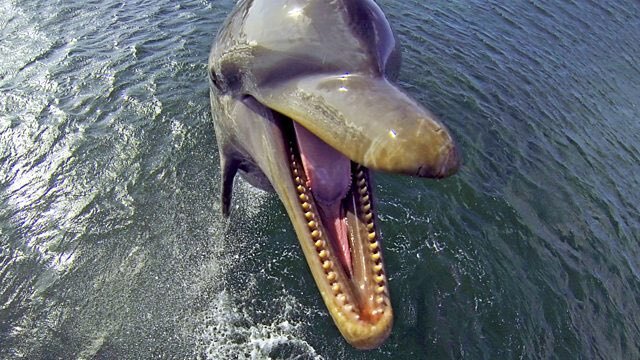 In 1964, Margaret Howe Lovatt, working with psychedelic dolphin researcher John Lilly, began to live with one of the animals full-time as part of a NASA-funded study about interspecies communication; a new documentary about Lovatt, titled "The Girl Who Talked to Dolphins," airs on BBC4 later this month. Above, a clip of Lovatt talking about how she developed a deep intimate relationship with Peter the dolphin that veered into the sexual. 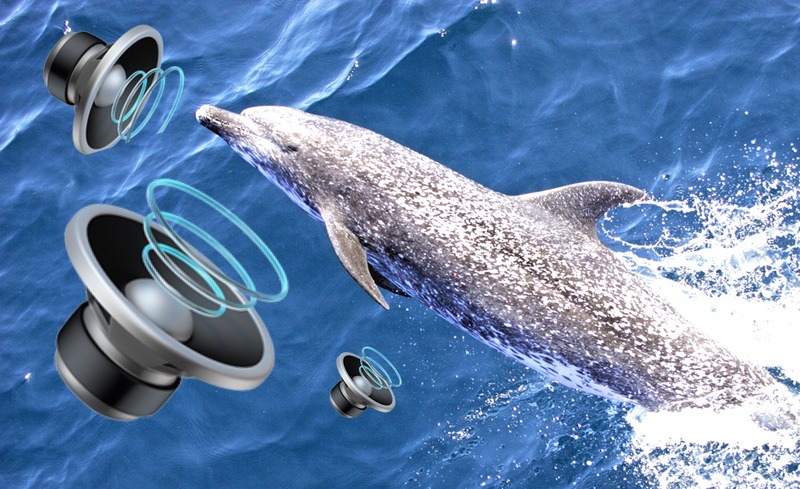 At the time, a sexploitative article in Hustler, the high weirdness of the experiments itself that included giving LSD to dolphins, and myriad other unpleasant issues, brought the project to a very sad end. 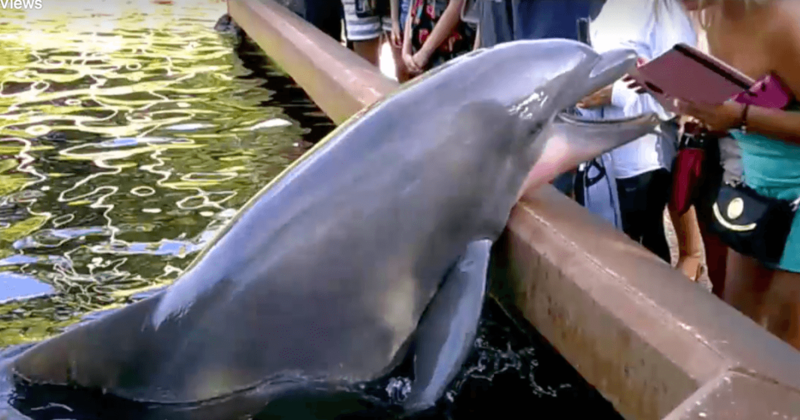 In 2010, researchers at the Dolphin Research Center (DRC) in Grassy Key, Florida, showed dolphins can imitate behaviors without using their eyesight. ... Now, a follow-up study shows not only how Tanner accomplished this task using sound, but also that he used a deliberate, problem-solving approach to imitation. The research was published in the journal Animal Cognition.